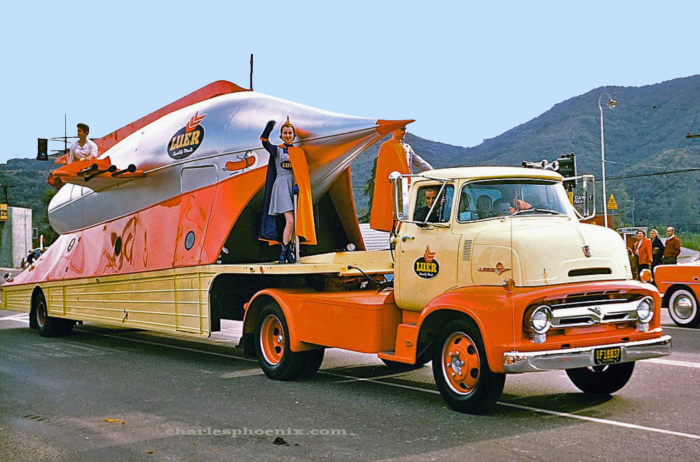 Posted: Mon Jul 17, 2017 11:14 pm Post subject: The Amazing "Touring Rockets" of the 1950s! To this day one of the most talked about memories of the show is the "contest to end all contests". The challenge — "NAME THAT PLANET." 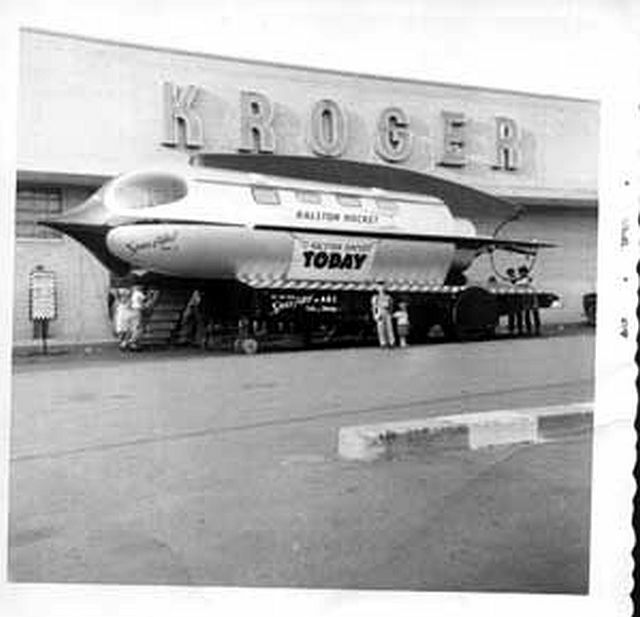 I visited the Ralston Rocket when it came through a grocery store -shopping center (we didn't have malls then, only "plazas" or strip stores anchored by a supermarket.) in Buffalo, New York sometime in the early 1950s — before 1954,when it was given away. One Saturday morning my father told me he had a surprise for me. I had been talking about the rocket for weeks, eating my Ralston cereal and saving box tops! After a short drive we pulled into the parking lot — and BEHOLD! There in it's shiny aluminum grandeur was The Rocket! The TERRA 4, flagship of Buzz Corry and the SPACE PATROL! ''Two big impressions I have is that there was a case with a glass top containing two or more ray guns and a closet where one or two space suits were hanging. Some guy in Space Patrol garb was sitting in one of the cockpit seats when my father and I toured through. 1. 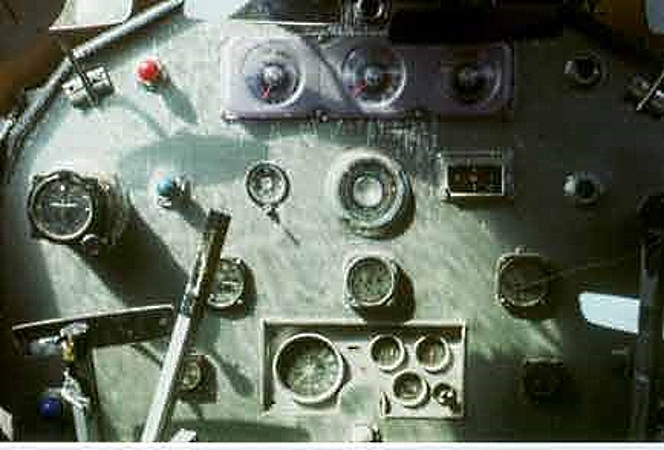 A (metal, I think) control panel with all aircraft type instruments and an aircraft type twin wheel control yoke. 2. The big bulbous front ports were streamlined. I would bet that they were waist windows taken from a PBY Catalina flying boat, as they had the same kind of observation grid lines etched in them and were about the right shape. At least that's what I thought at the time. 3. There was a map of Terra City under a clear plastic cover, with little moving cars, etc. I don't now remember now if it was a "built in", but it was a proffessional prop---Much nicer than my own Marx Co. SPACE PATROL playset. 4. Built into the cabin sides, between the smaller ports, were inlet shadow boxy kind of things with fantastically shaped neon tubes in various colors. 5. 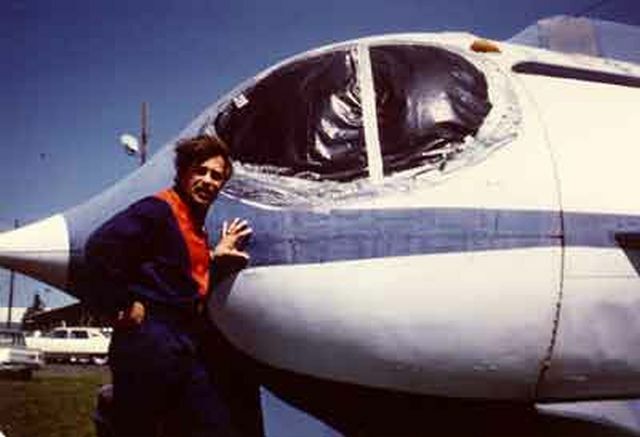 The rocket tubes were not visible from inside; the cabin ended with an access panel. 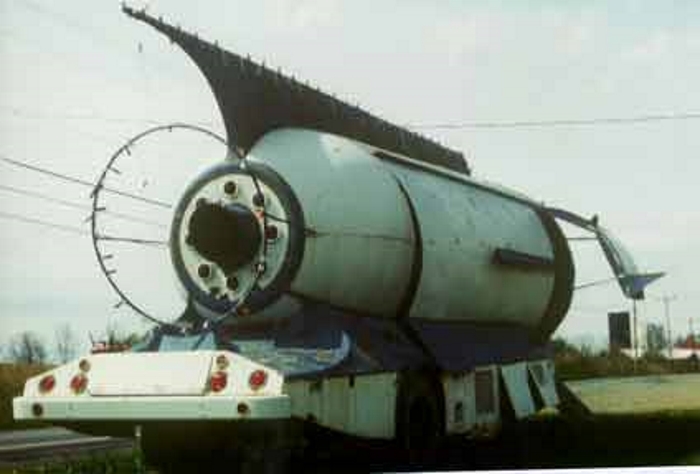 The large central rocket tube had a speaker in it which emitted a recorded roaring "rocket" noise. The first prize was won by some kid in Illinois. Sadly, the end of the road for the rocket was far less glamorous. In 1985 it was discovered on the property of a small construction company in Gent, New York. No longer the glistening star of 1954, the Ralston Rocket Clubhouse was now rusted and neglected. The construction company had it unceremoniously destroyed and sold for scrap. To this day I still envy that Ricky Walker! NOTE: Text in quotes adapted from various sources. Gord, that has to be one of the best post on All Sci-Fi, which is one of the best science fiction boards on the internet . . . which makes your posts one of the best ones on the web! You did a great job of telling a fascinating story, complete with personal anecdotes and the full back story for the TV show and the contest it inspired. You made me aware of the Ralston Rocket on your [i]Zombies of the Stratosphere[/]] post, and it inspired me to go looking for a good jpeg of the marvelous contest prized. The jpeg I found was actually the one you posted above . . . but I didn't care much for the wacky colors, especially that purple parking lot! So, I worked on the picture for an hour or so and produced this. So, here's my small contribution to your wonderful post — a color-adjusted version of the image you posted, with a gray parking lot and a bluer sky. P.S. 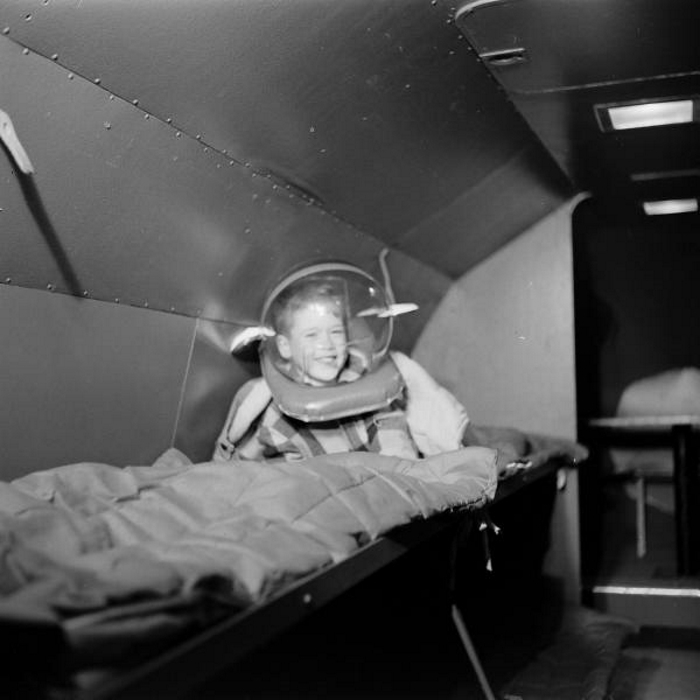 The picture of the grinning, space-helmet-wearing Ricky Walker is wonderful. He's the ultimate sci-fi lovin' American kid! "The Rocket" has been an obsession with me since the first day I saw it! I was also obsessed by the show and all the premiums and toys related to it. I also loved the TOM CORBETT and ROCKY JONES shows. One thing I did-----that not even my parents knew about---when I was 5 years old. 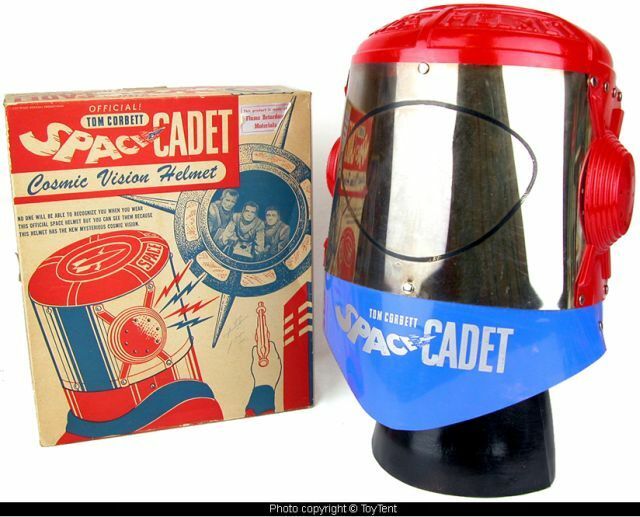 I had TOM CORBETT pajamas along with my "you see out, no one sees in" space helmet and the Remco ray gun. One dark night I got up around 5 AM. donned my space apparel and snuck out of the house. I wasn't allowed to cross the street, so I patroled my block. Sneaking in and out of backyards I dilegently explored looking for evil aliens. Never found any....But I searched anyway. I miss the innocence of youth. I just hope kids today can recapture the sense of wonder I felt then! "Within a few months after receiving the prize he (Ricky Walker)sold it off to a touring carnival where it became a minor attraction on their tours of the mid-western circuit for years. The rocket dropped out of sight for quite awhile and nobody seemed to know what happened to it. Starlog Magazine launched a nationwide search in the early eighties to locate the ship or discover what became of it. 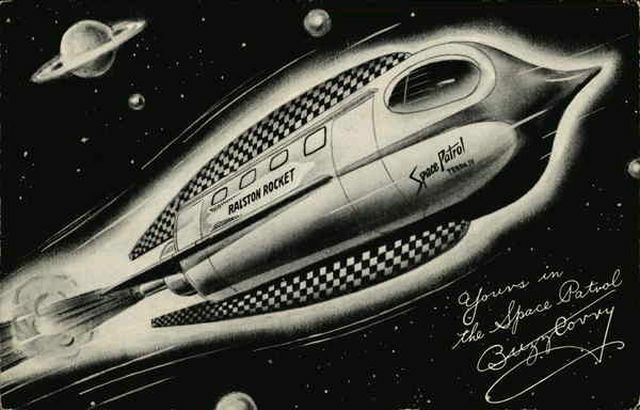 Two dedicated Space Patrol collectors, one of them Andy Anderson, finally located Ricky's prize ship in the front of a construction company in Gent, New York, where it was a sort of advertising prop, and in really poor condition. Efforts on the part of Andy and some other fans to raise money to save the ship and return it to California were not successful. Somebody from the construction company put his foot thru the wall of the ship and it was decided the ship was in such poor condition that it constituted a safety hazard, and without further ado the construction company sold it for scrap salvage. And that was the end of that. 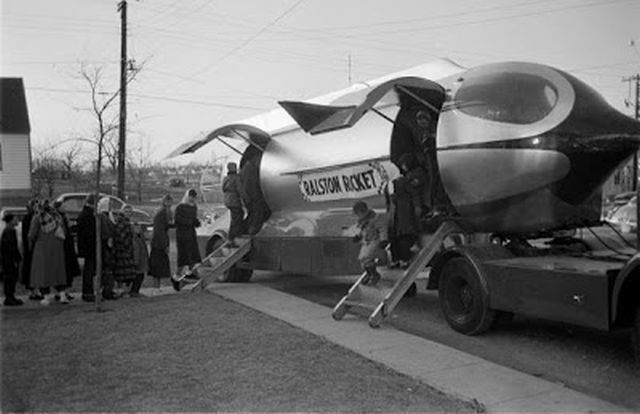 However, there were actually two of those rockets used as a promotional gimmick for the Ralston cereal division or R-P.
Nobody knows what happened to the other ship, the so-called Ralston Rocket, the one used in the publicity tours across the country. It vanished without a trace, and every effort to get information from the Ralston Purina company has been met with silence and indifference. Fans say there was a five foot difference in length between the Ralston Rocket and the Ricky Walker rocket, althought which was longer I can't say. 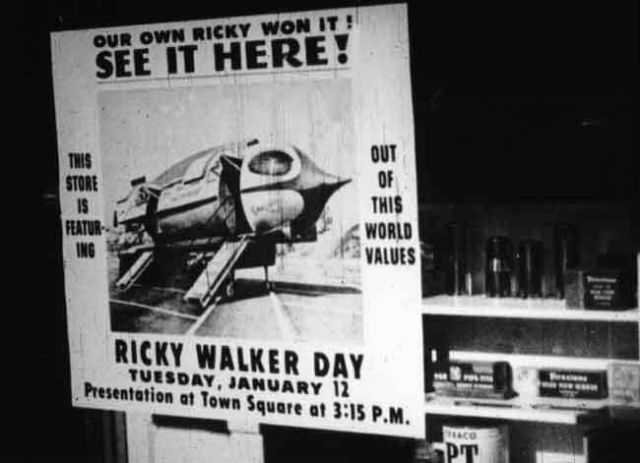 My guess is that the Walker rocket was longer to accommodate the bunk room sleeping area at the back of the ship advertised in the contest." Perhaps, somewhere there is still the original ROCKET somewhere! Do any of All Sci-Fi 's viewers have any information? The big bulbous front ports were streamlined. 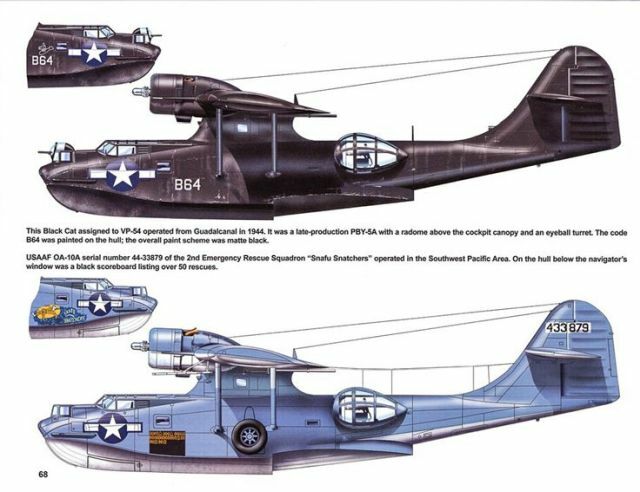 I would bet that they were waist windows taken from a PBY Catalina flying boat, as they had the same kind of observation grid lines etched in them and were about the right shape. I don't think so. The Catalina's gunner/observer blisters are quite different in shape and appearance from the forward windows on the Ralston Rocket. 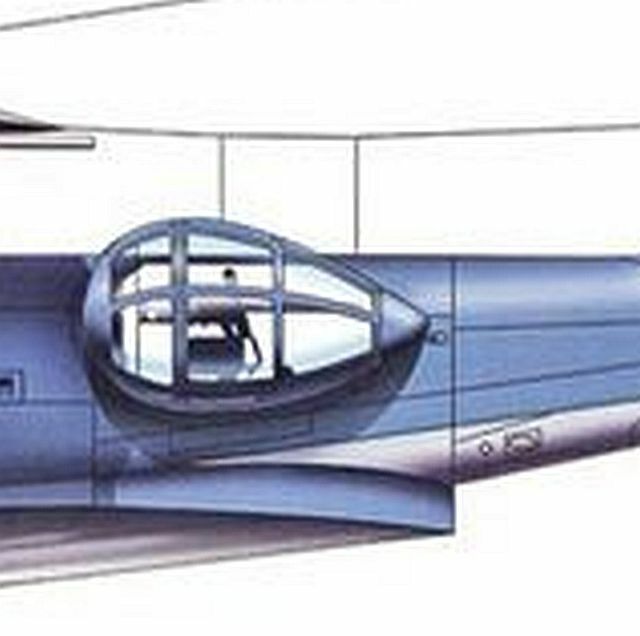 Look again for the "WAIST" gunner's window----That is the SIDE window. I think you'll see the teardrop shape was VERY similar to the front viewports of the RALSTON ROCKET, although reversed to have the "point" in the front. 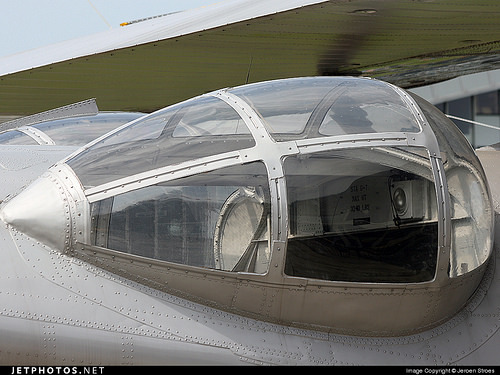 The perspex dome was one piece with the frame as a supporting enhancement. Of course, some adaptation was necessary....But there is a resemblance. At least to my 5 year old eye. I believe Scotspen's picture is one of the side turrets, the same one shown in your pictures, too. And the ports on the Ralston Rocket don't seem to be "tear drop" shaped. They look like ovals with the same rounded shape on both ends. 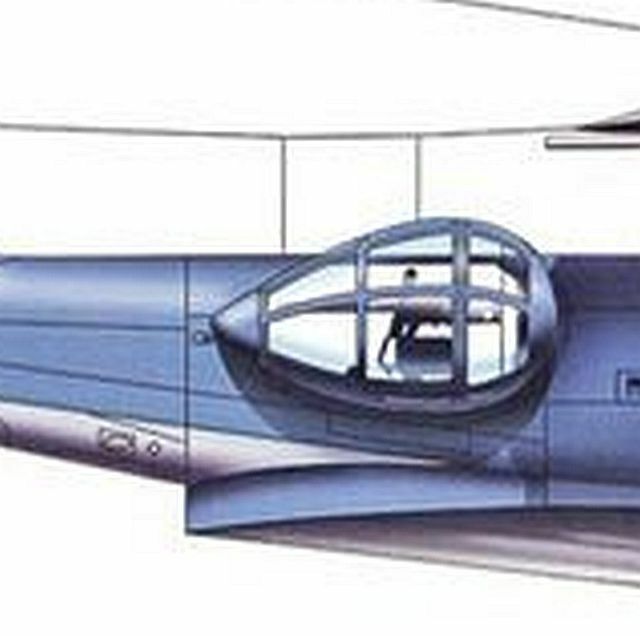 Plus the aircraft turret is composed of five separate pieces, joined together by the criss-crossed framework. The rocket's ports are a single piece of Plexigras with no framework. The Youtube videos below (and your comments on this thread) have really gotten me interested in the Ralston Rocket, Gord! 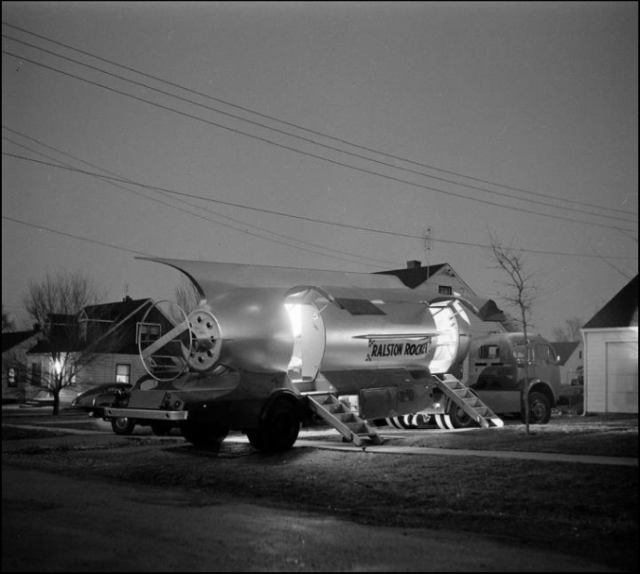 The photos below are from the article about the Ralston Rocket at Atomic Flash Plus, entitled The "Rolling" Ralston Rocket Clubhouse — The Story Of A National Sensation. The real surprise for me came when a gentleman named Bill Belt replied to the article. I was lucky enough to have lived next door to Rick on the day he received his Rocket. I too wish it was still around to see. It was a joy to play in. Rick and I became life long friends and I still visit him once in a while. The rocket that Rick received did not have an instrument panel, that was added later after rick sold it. All it had in the front was a large table and the two large windows. 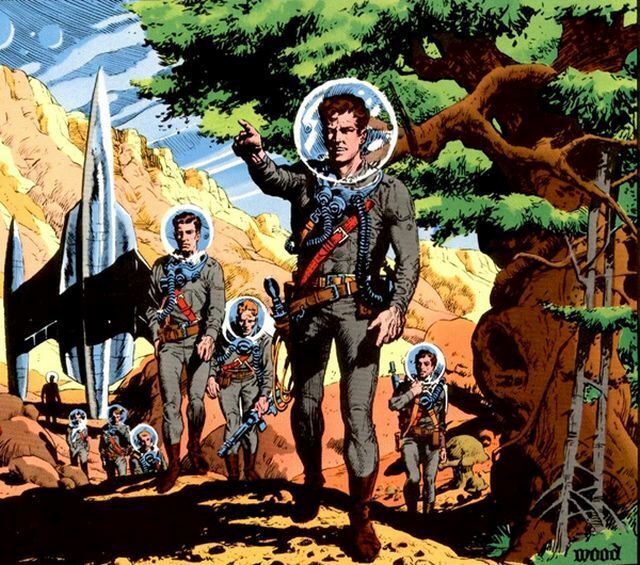 Rick and I and his other friends spent many hours pretending to travel in space. What a great time it was. Mr. Belt's comment about the lack of a control panel is consistent with portions of the video below (near the end), when Ricky Walker is shown sitting at the table in front of the windows. The picture of Ricky above is from that occasion, apparently. The nose of the rocket is to the left of Ricky. 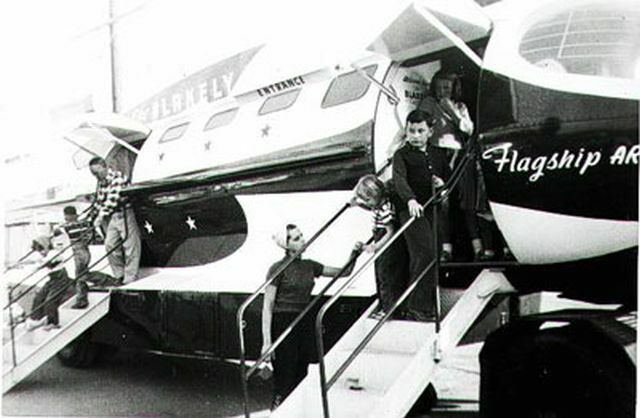 If there really were two rockets — one that toured to promote the show and one "clubhouse" rocket which Ricky won — then it was the touring rocket which had the control panel. 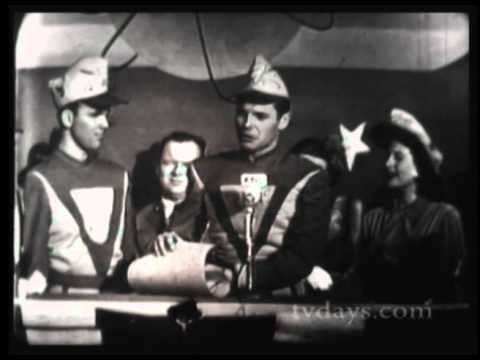 Film preservationist Bob Burns posted a message on Solar Guard under an article entitled SEARCH FOR THE RALSTON ROCKET. Bob claims that some folks have confused the Ralston Rocket with another one from the 1950s, which he claims was a close copy made for the Kraft Marshmallow "Name This Rocket" contest. "It was a near rip off of the Ralston rocket," according to Bob! I think I can answer the question about the mystery rocket that Mike Elmo was talking about. I'm sending you an ad I have from an old comic page that I have. The type is small I hope it can be read. It is the rocket in the photo. It is not the Space \ Patrol rocket. It was a Kraft Marshmallow's naming contest. It was a near rip off of the Ralston rocket. The date was October 1959. Can you forward this ad to Mike so he can put it on his site? As far as I know there were 2 rockets made for Ralston. One that toured the grocery stores across the country. I was in that one. My Dad worked at a market where they brought the rocket. I got friendly with the guys travelling with it and they let me in after hours when the crowd was gone. I had the whole ship to my self. It was really neat. 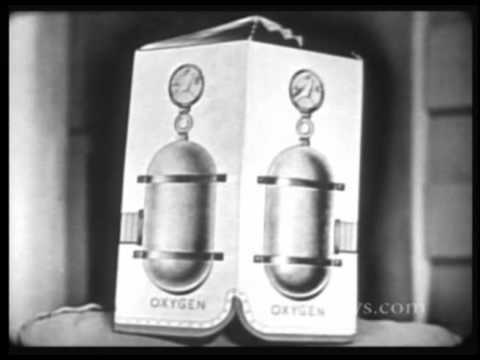 The cockpit had a rear projection system, just like the Kraft ship. The one that went in the Ralston contest was a bit different in the interior. It had bunk like beds and locker type storage areas. 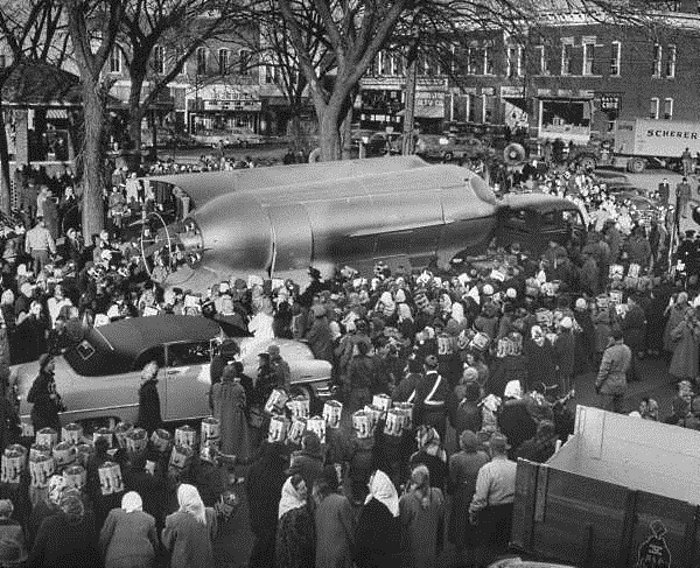 Bob is mistaken about the Ralston Rocket being similar to the Kraft rocket, a giveaway that took place in 1959. It, too, toured the country, just like the Ralston Rocket. This "flight simulator" for kids was manufactured by Aerojet, the same company that was working on actual rockets for NASA! The article says this about it. "The Kraft simulator came complete with space suits and helmets based on authentic equipment." Click on this ad to read more! 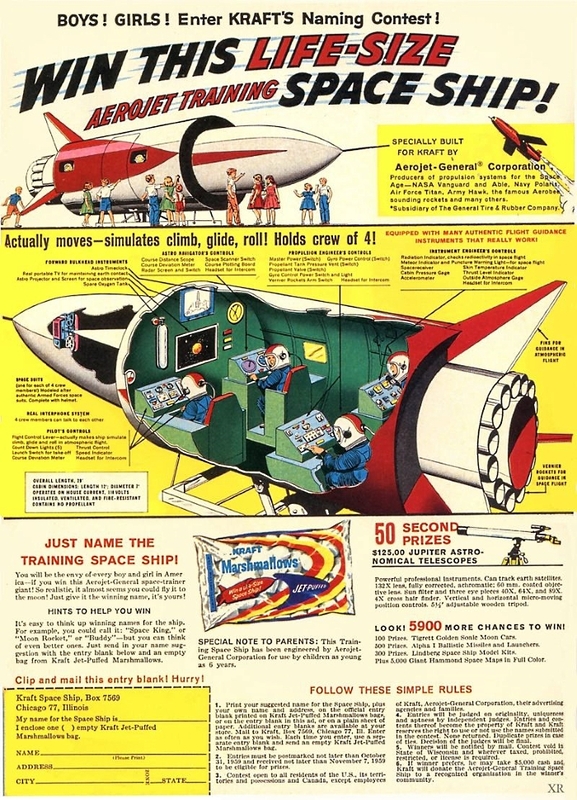 The ad says the rocket actually simulates "glide, climb, and roll". The illustration shows what appears to be a motorized gimbal that moved the rocket around. Perhaps it just did a series of prearranged movements, rather than actually respond to someone at the controls. The article also mentions that the forward view screen showed movies of outer space scenes to the kids! All these marked difference between the Ralston Rocky and the Kraft Simulator makes me I suspect that what Bob was actually thinking of in his comment above was the Rocky Jones Silvercup Rocket giveaway of 1954. Yes, there was a THIRD touring rocket that was given away! And according to the article at the link below (which describes several more "touring spaceships" from the 1950s), this one was just as impressive as the other two! 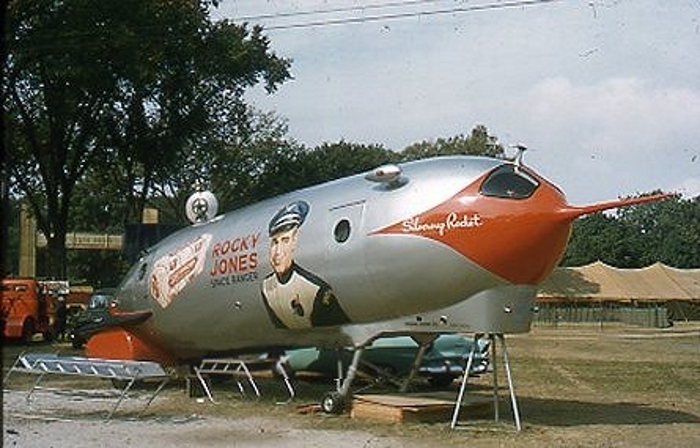 The article entitled Retro Rockets: 9 Outrageous Roadgoing Spaceships describes the Rocky Jones touring spaceship this way. 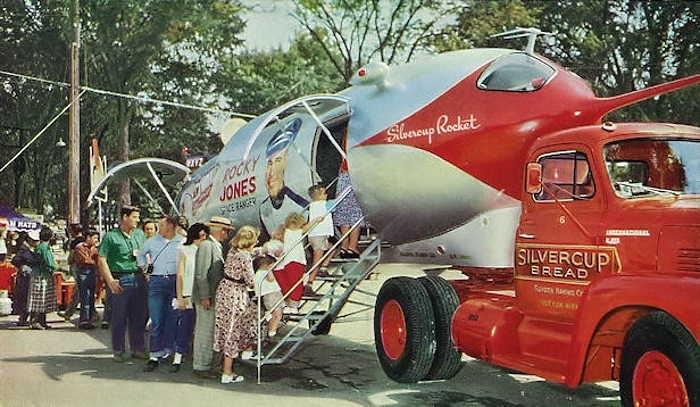 The Rocky Jones Silvercup Rocket not only set the bar for future traveling promotional rockets, it was built better than most of them as well. 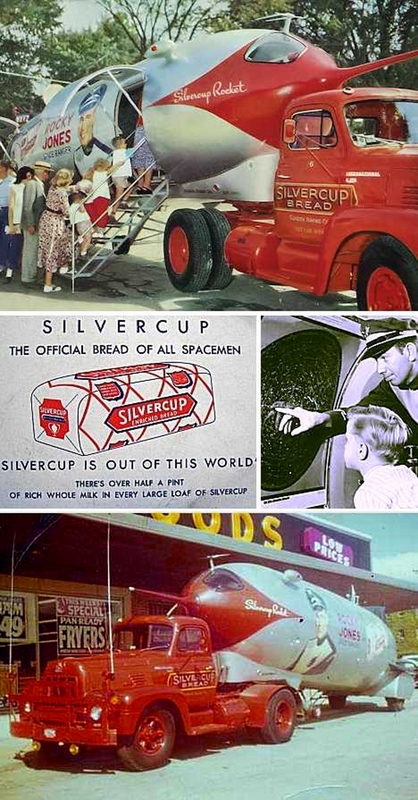 Custom crafted in the truck workshops of Detroit-based Gordon Baking Company, the tubular trailer was packed with electronics to impress visitors — an estimated 100,000 of whom checked out the rocket at the 1954 Michigan State Fair and were given miniature loaves of Silvercup Bread ("The Official Bread of All Spacemen") as souvenirs. 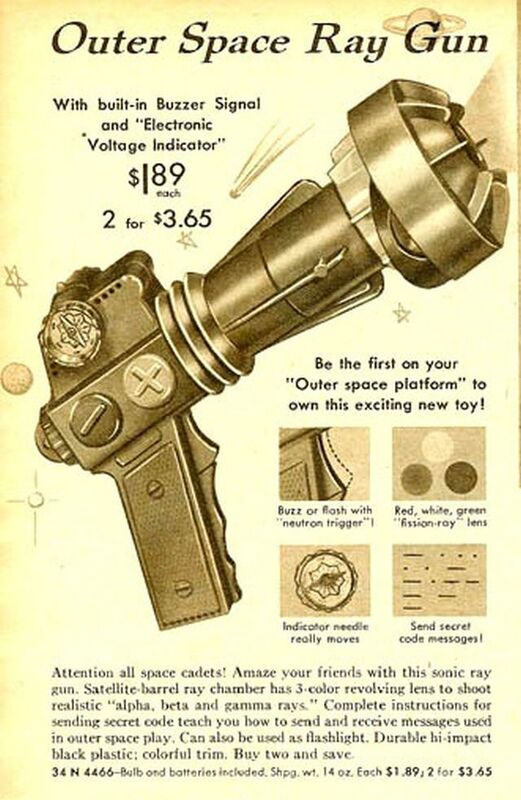 So, apparently you couldn't swing a dead Martian cat without hitting a fantastic "touring rocket ship" back in the 1950s. And yet somehow I manage to miss every one of them! 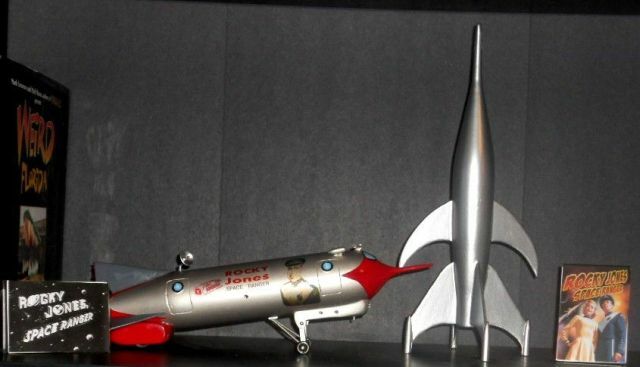 Rocky Jones SILVER MOON-ORBIT JET rocket models. Both the TV and the Silvercup version. That first post about the Kraft simulator was great, Gord! However, I really wish you had just added it here, to what has now become our amazing "1950s touring rockets" discussion! Please consider posting it here and deleting your other one. This is one very happy thread, Captain Gordon, and it needs that great contribution you made! With that in mind, let's not forget the amazing Luer Meat Rocket! This thing is gorgeous! All I've been able to find out about it is from sites like Just a Car Guy, which has this to say. The rocket was built in the early 1950s for the Luer Meat Company, which was located in the meat packing district near south Los Angeles, California. The rocket was built by Standard Carriage Works which was located about 1/4 mile from Luer Meat Company at the time. Standard Carriage works built things of this type for many customers in the western USA. 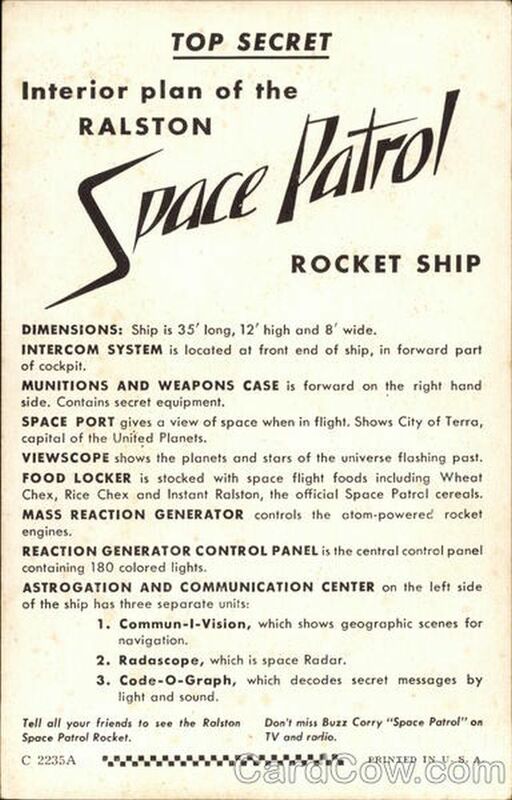 The rocket was patterned after the Space Patrol Terra IV. This conclusion came from the Lunar Fleet Base. A much longer article is located here at Roadside Resorts. It offers theories which suggest that the second "touring" Ralston Rocket was eventually converted into this one. I think it's obvious that this lovely craft shares no metallurgical DNA with the Ralston Rocket, for obvious reasons. And that means the statement above about how it was built by Standard Carriage Works, located just down the road from the Luer Meat Company, would pass a lie detector test much easier than the malarkey which suggest that it's a reborn Ralston Rocket! I'll leave it up to Gord to find out more about the Luer Meat Rocket, because he's trumped my investigative efforts on this delightful subject several times already — and I've been delighted by in the wealth of additional info and great jpegs he's added to this discussion! The only request I might make is that Mr. Green please cite the sources of the quotes he adds to his posts — instead of just lumping all the text together and making us wonder which parts he wrote and which parts he quoted. In several of his posts I've assumed he was describing personal experiences from his own childhood . . . and then later founding out he was quoting from something on a website he'd discovered! Cadet Green, please helps us out by telling us when it's real and when it's Memorex! The personal stories are all real. I have found a picture of the RALSTON ROCKET used to promote the movie THE ROCKETMAN. 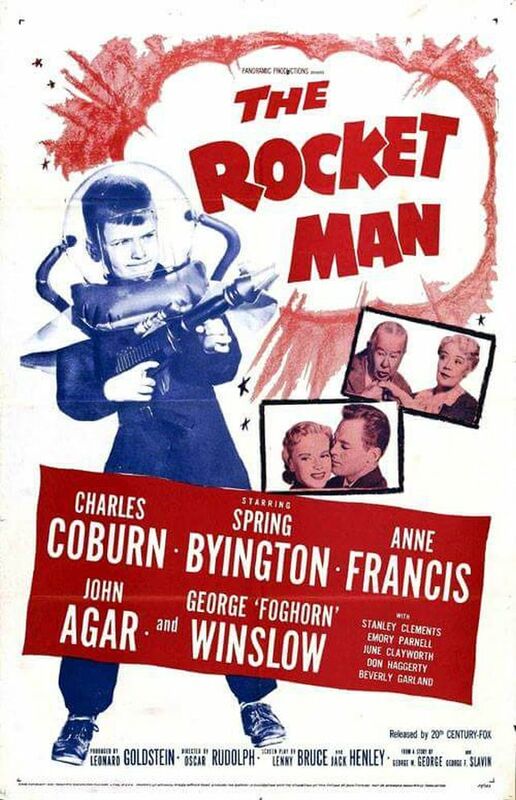 The Rocket Man was released in 1954, so this may well be that mystery second rocket. 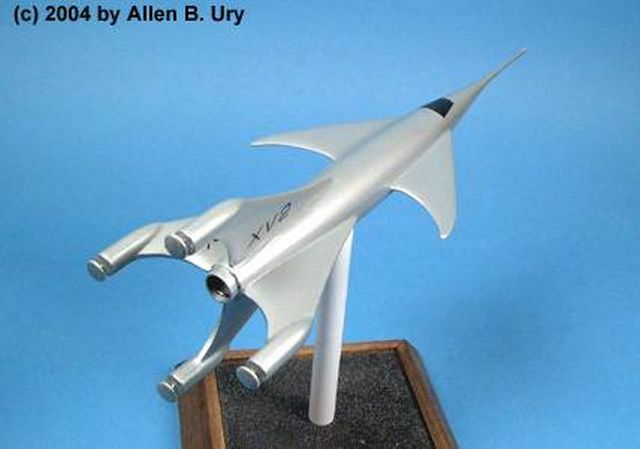 Here's another look at the SILVERCUP ROCKET model. 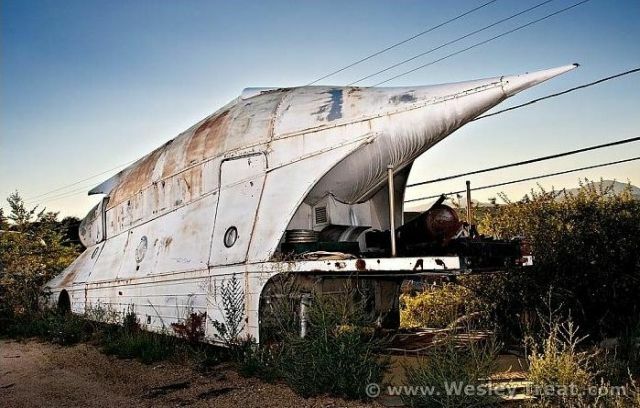 There also is evidence that the original touring RALSTON ROCKET eventualy fell into the hands of the Blakely Oil company (Who sold gas and oil in their stations in Arizona and the Southwest) The story goes that they refurbished the exterior and used it to promote their gas stations. It does indeed resemble the original RALSTON ROCKET. However it appears to have wings attached to the side and a diferent paint job. With the window arrangement it looks nothing like the Luer model. So perhaps the search is not over.....Perhaps the original touring model of THE ROCKET still exists somewhere. OK, there is much....and also very little information on the LUER MEAT ROCKET. There are a few exterior pictures, but I have found no pictures of the interior...only a discription of what it may have been. From various sources...Here is some information. NOTE: I've never seen or ever had direct contact with the Luer Rocket...But like many of you I find the whole idea fascinating. Article by Steve, filed under Vehicles & Mods in the Technology category. 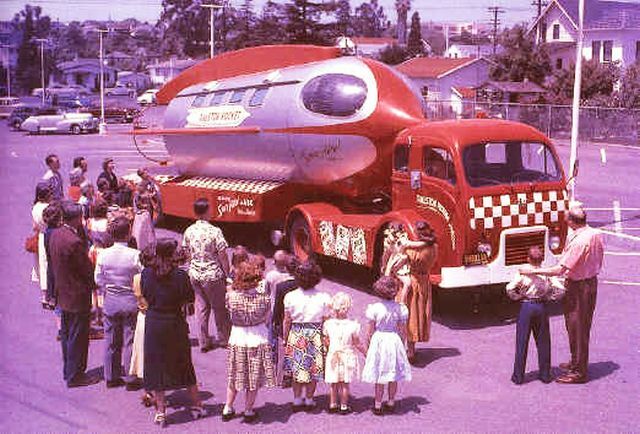 The Luer Quality Meat Rocket was built in 1955 and was to Luer Quality Meats of Los Angeles what the Weinermobile was to Oscar Meyer. Luer spared no small expense to have Standard Carriage Works modify the trailer to resemble the Terra IV spaceship from the 1950-55 TV series Space Patrol. 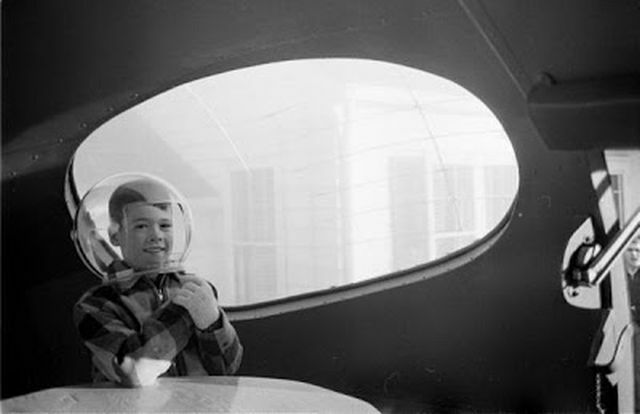 The rocket was designed to be suitably spacey inside and out, featuring nifty options such as a large movie screen up front, seats for 24, a vibrating floor to simulate launches, air conditioning, and a bubble machine that provided "exhaust" during appearances at grocery stores and in parades. 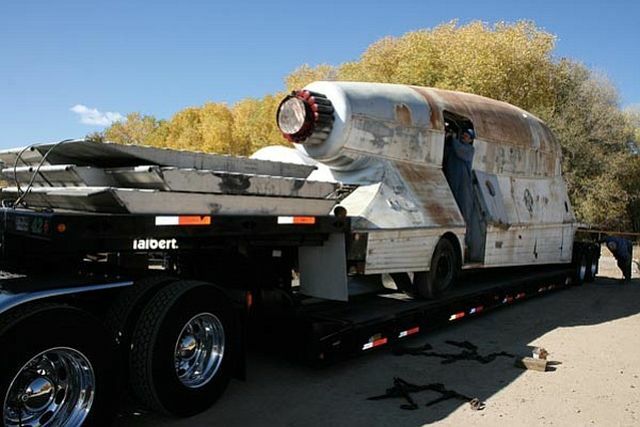 The Luer Meat Rocket (quiet there, Beavis and Butthead) changed hands a number of times following a long and successful promotion career, and its survival to the present day is largely due to years of outdoor storage in the arid California desert and in Prescott Valley, Arizona. 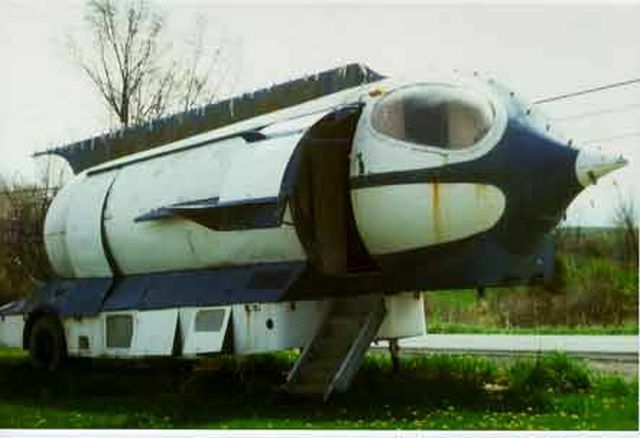 Owned for nearly 20 years by Steve LaVigne (above) who paid a whole $100 for it, the rocket was sold in 2007 to memorabilia collectors John and Peter Kleeman of Litchfield, Connecticut. That's where the Luer Meat Rocket resides these days, undergoing a full restoration at the Space Age Museum. Steve La Vagne is the current owner. The inside is really something! Up in front there is a big movie screen and a whole pile of old fashioned knobs and dials. There is also school bus type seats to hold about 24 adventurers inside. The interior is made of light blue plywood with a brownish red trim. There is a big old air conditioner in the back in the bottom of the back wall. (Behind the rattlesnake.) The interior is a mini movie theater with fun extras. In the rear is a big hatch that opens up to a big empty area. From the dials and electrical stuff in here we surmise that there was a big generator in here at one time. The back bumper is solid enough to stop almost anything! Mountain Fantasy-a small amusement park that was located where the rocket was parked) had an auction when he closed the park. He wanted a minimum bid of $7500.00 for the rocket. Nobody would pay that much so the rocket ended up still parked on the property. The rocket has a rather interesting past. What is in here is some of what we know and a lot of what we have figured out. I have talked to many people about the rocket. The rocket was (we surmise) built by Standard Carriage Works which was located about 1/4 mile from Luer Meat Company at the time. Standard Carriage works built things of this type for many customers in the western USA. The rocket was patterned after the Space Patrol Terra IV. This conclusion came from the Lunar Fleet Base promo package shown above. Look on the envelope at the rocket. it is the spitting image of my rocket! The rocket sat somewhere in California in a desert area for a while. It is not known who owned it at this time. I came to this conclusion from these pictures here. 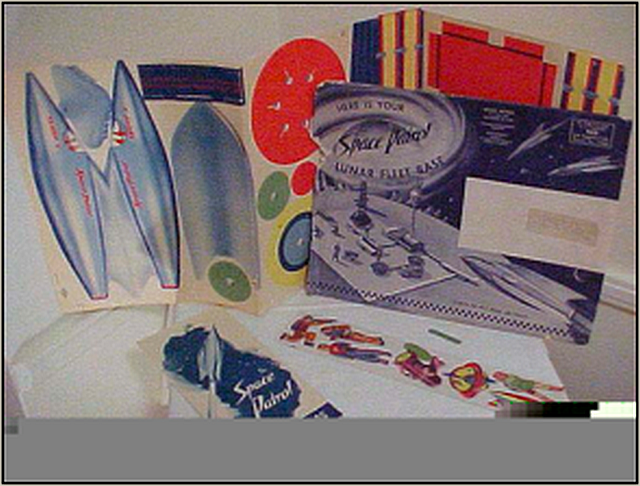 Above is a information packet that allegedly was released along with the Luer Rocket. It seems it was closely related to the Ralston Rocket in essence if not in actuality. Along with the above packet this children's booklet was also given out. PRESCOTT VALLEY - The city's only rocket has taken off and left town for good. 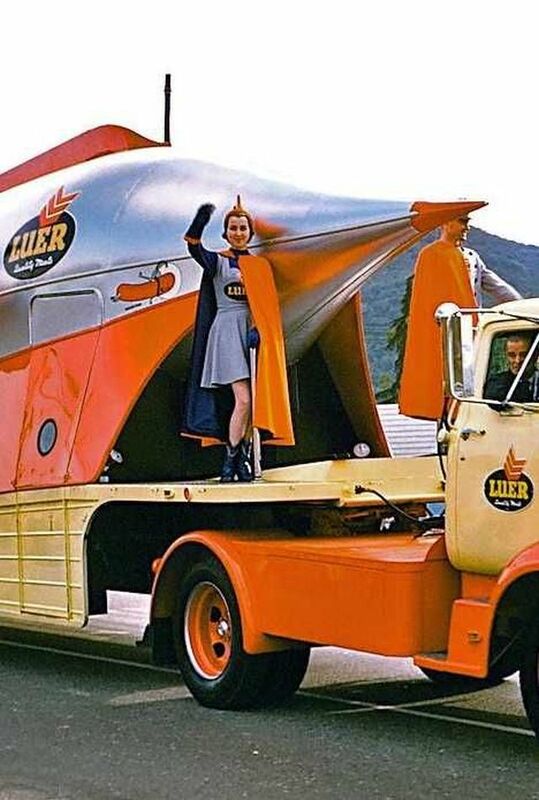 Steve La Vigne sold the Luer Meat Packing Company's promotional rocket in November to a Connecticut man who plans to include the relic in his museum. La Vigne said the rocket moved from its hillside perch across from the new Lowe's store off Highway 69 a few weeks ago. It took two days in mid-November to move the rocket off the hill and load it onto a flatbed trailer, according to La Vigne. The rocket's history began with the meat packing company in the mid-1960s. It "landed" in parking lots throughout Southern California to promote the company's products. 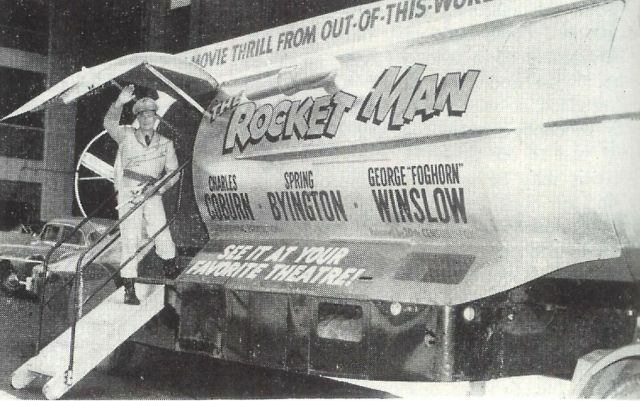 The 40-foot rocket had a 24-seat 16mm movie theater, a vibrating floor and moved between parking lots on a flatbed trailer. Someone eventually bought the company and the rocket's full storyline is still a little foggy. It was a prominent part of the Welch's Mountain Fantasy amusement park before the rocket made its way to the city. La Vigne and Mike La Flash bought the rocket for $100 and it landed on La Vigne's hillside property. John Kleeman, a 60-year-old real estate and business lawyer, bought the rocket. Kleeman plans to fix it up and add it to his collection of space-themed, pop culture items that he hopes will blossom into a museum. Kleeman's keepsakes range from space-themed amusement park rides to a flying saucer, life-size robots and a bubblegum ring. His wife gave him a copy of Douglas Curran's book, "In Advance of the Landing," that has a picture of the rocket. He spoke with La Vigne about possibly buying the rocket many years ago. "I was curious what he was going to do with it," he said. La Vigne was not interested. The difference for La Vigne this time was the fact that Kleeman is going to restore the rocket. "In the ultimate end, I wasn't worried about how much it sold for but that it went to people who would care for it," he said. Here are a few pictures of the rocket prior to restoration. I just hope they can restore it to it's 50's glory! 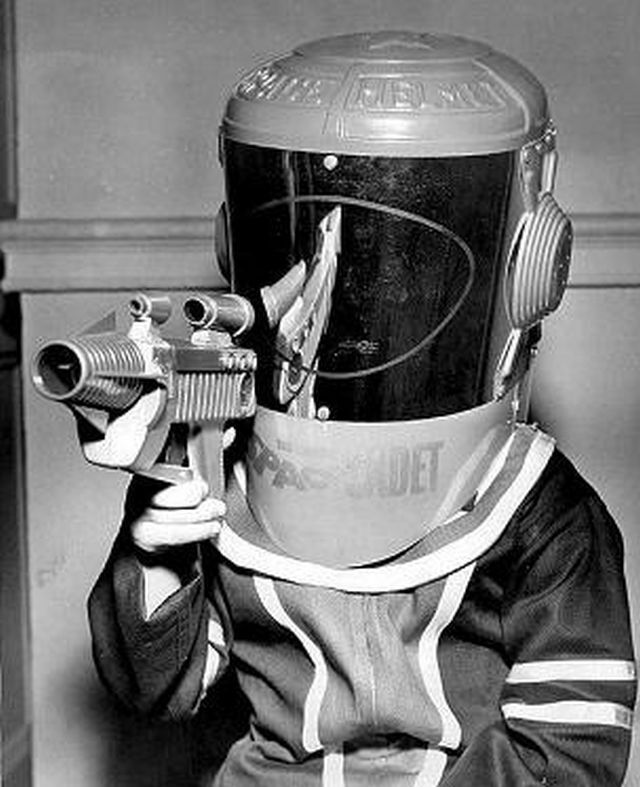 Bud, perhaps it would be wise to gather all our posts on "Real Rockets of the Fabulous 50's" under one umbrella. If you can make it so.... Make it so. Great idea! So, by gum, I did it! — and an interesting personal anecdote on the site called Roadside Resorts which had the other pictures we've seen, this reply a gentleman named by John Arnold. 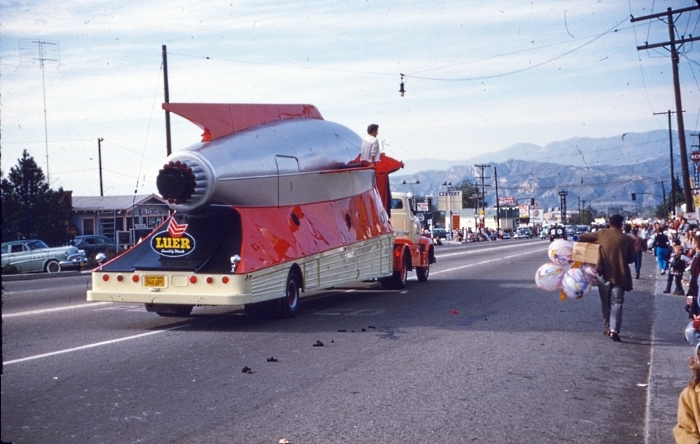 I was lucky enough to have "ridden" the Luer Rocket Ship when I was a kid in Southern California. FYI — the projection screen found inside was so that they could show a short animated movie where the ship travels to another planet and encounter hostile little green men and defeated them (what do you want, it was the 50's). As I recall, the rocket even shook when we "took off". Think Star Tours without the full on flight simulator. Several comments from people on other sites who remembered seeing it in parades mentioned that it had a "bubblegum machine" in the rear. I'm not sure what it did. 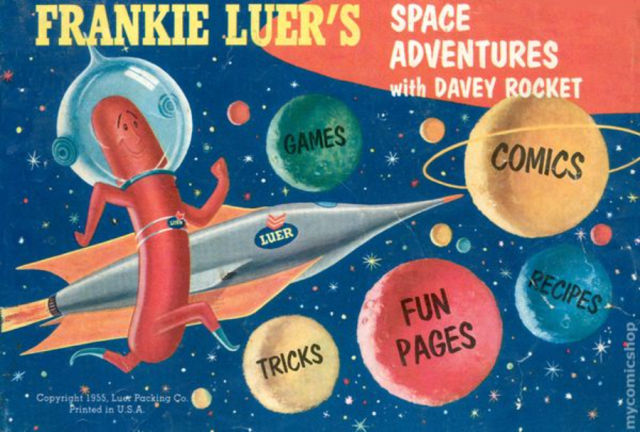 We have got to find pictures of the Luer Meat Rocket's interior and more descriptions of the experience it provided!